Glenn Irwin continued where he left off in 2016 at the Macau GP this morning by qualifying on pole well ahead of the competition after the two combined sessions. After suffering a crushing DNF while leading last years race, Irwin made amends right from the off leaving seasoned regulars like Michael Rutter and last years winner Peter Hickman over 1.5s behind. 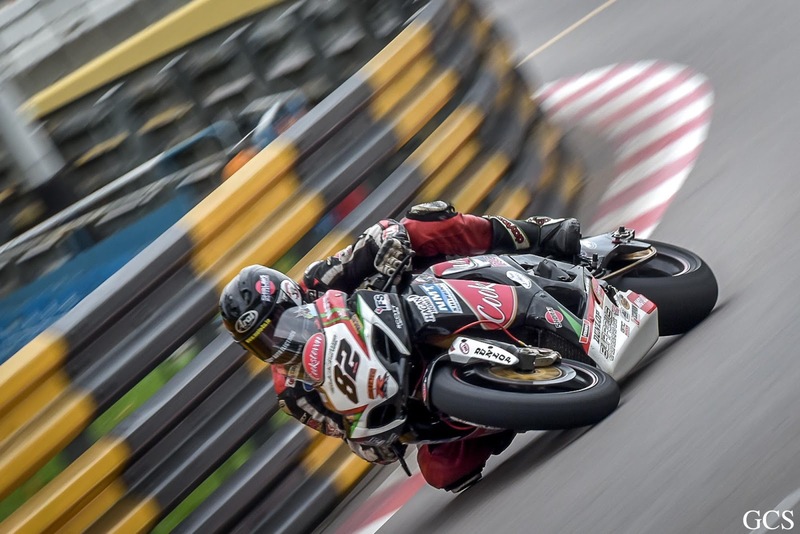 The current NW200 champion has taken to the Macau track and has broken Stuart Eastons lap record as he continues his preparation for Saturday afternoon's 51st running of the Macau GP. Derek Sheils and the Cookstown BE GSXR also know their way round the track and were able to hit the ground running having had a reasonable base setting from the race last year. Finishing FP1 in 4th, Derek ended up provisonal 9th on the grid after Q2. This year John Burrows makes a return visit to the island with his wealth of knowledge to support Derek and the team. 'General' Lee Johnston is riding the RST Racing HP4 BMW S1000rr and he starts from the 2nd row in 7th. Micko Sweeney starts from 21st in a field of 27 bikes after Q2 on the Martin Jones BMW S1000rr HP4. Steve Heneghan also entered a Reactive Parts GSXR1000 this year and he qualified 26th. 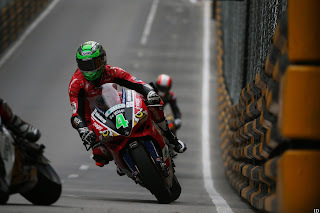 Davy Morgan riding a Fireblade, takes 27th position on the grid.